Add Elegant to your party with the MUNFIX SILVER CUP The MUNFIX fancy plastic cups is perfect for catered events, parties, bars, nightclubs or any other event where you require an economical alternative to permanent glassware. 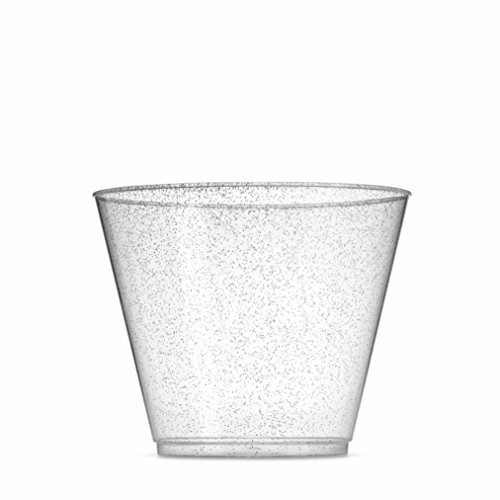 This disposable glass is shaped like a traditional tumbler and made of durable clear hard plastic. The MUNFIX Silver plastic cups are Elegant and practical, Clear Silver Glitter Premium Plastic Disposable Cups a must-have for the frequent party hostess! 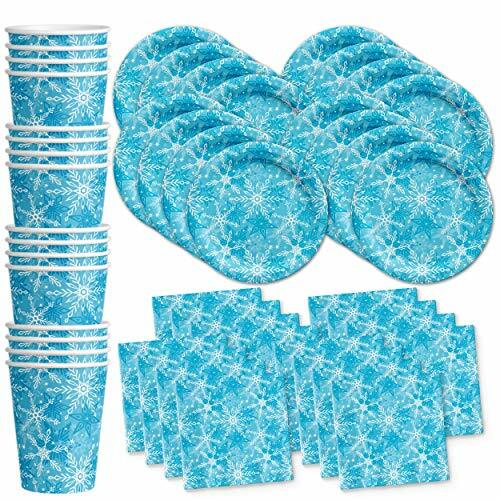 use it for wine cups, champagne cups, punch cups, or water cups. ideal for weddings, sophisticated events and New Year's Eve parties. Even if there's no snow on the ground, you can have a white Christmas thanks to this festive Snowflake Balloon Bouquet. 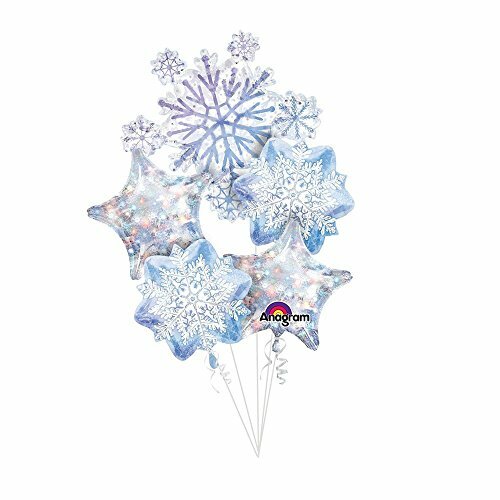 The sparkling collection of inflatable decorations comes with two star-shaped balloons, two balloons designed to look just like a pair of unique snowflakes, and another huge snow balloon with an elegant design printed onto it. 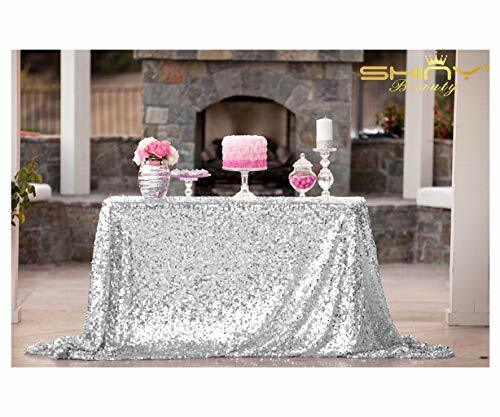 Your winter themed parties will be the brightest and most fabulous with decors so grand! this décor set will take your event to a whole new level. Featuring loads of foil swirls and paper and foil cutouts of pretty snowflakes in assorted designs. 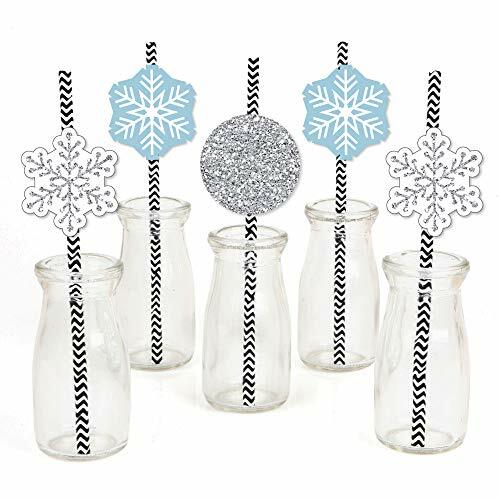 Take your party decorating skills to the next level with these adorable shaped Winter Wonderland Paper Straw Decor - Snowflake Holiday Party & Winter Wedding Striped Decorative Straws. Using the included clear stickers, simply attach the shaped paper cut outs to the straws then place it in a fun jar or bottle, or even use them as cupcake decorations. Printed on a heavy card stock paper. 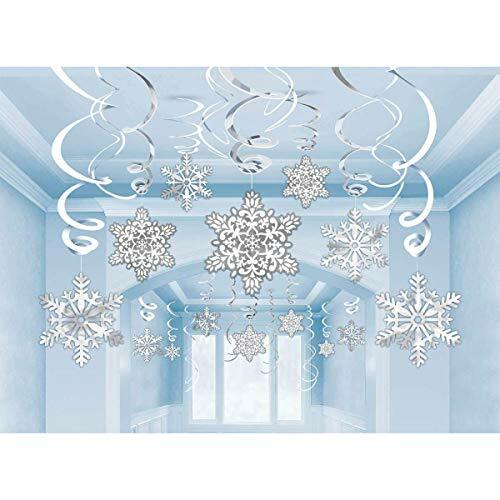 Straw Decor Set Includes: 8 - Silver Snowflake paper die cuts (2" X 2"). 8 - Silver circles paper die cuts (1.75" X 1.75"). 8 - Blue Snowflake paper die cuts (2" X 2"). 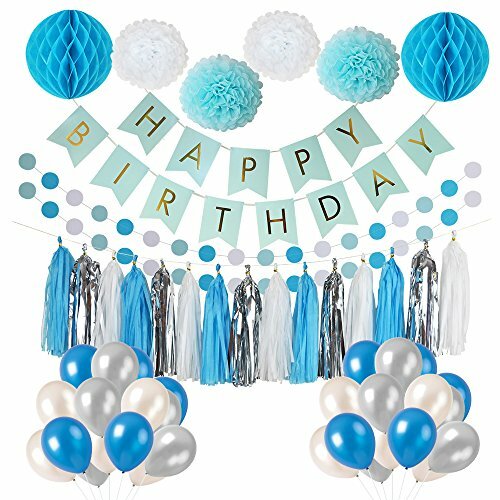 24 straws and paper cut-out embellishments. 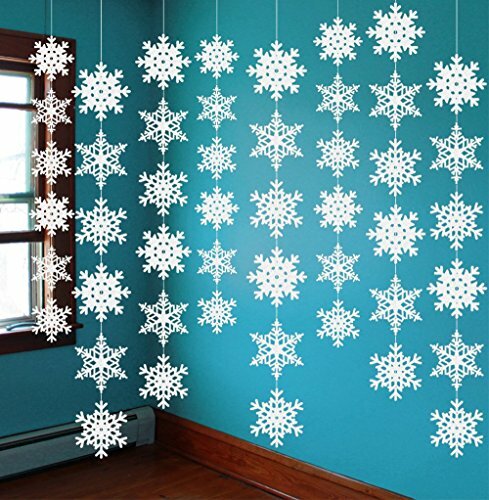 Add shimmer and charm to your holiday set-up and warmly welcome everyone with this curtain of foil die cut snowflakes that are intricate and delicate. Each pack comes with 6.6" strings. Be creative and use a bunch and hang from your ceiling to separate rooms or just to add a romantic feel to your events.